Prof. Lei Tao received his bachelor’s (chemistry) and master’s (polymer chemistry and physics) degrees from University of Science and Technology of China (USTC) in 1999 and 2002, respectively. He got a PhD in Chemistry from Warwick University with Prof. David Haddleton in 2006. 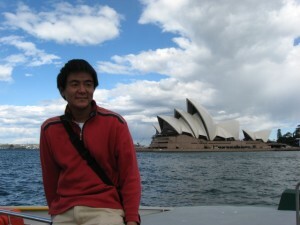 Then he moved to University of California, Los Angeles (UCLA) as a Post-doc with Prof. Heather Maynard (2006-2008). From Sept. 2008 to Aug. 2010, he worked as a research assistant with Prof. Tom Davis in University of New South Wales (UNSW). He joined Tsinghua University as an associate professor in 2010. His current research interests include the new polymerization methodology, synthesis of well-defined polymers for their bio-applications. I became a chemist because I found chemistry is so interesting and I always hope to find some new things from flasks. I like the feeling of discovering some unexpected things. What was the motivation to write your Polymer Chemistry article? We published that paper to share our opinion about click chemistry. People actually found many fantastic reactions already, we found some multi-component reactions are clickable, thus we hope to utilize multi-component reactions (the Biginelli reaction, for example) in polymer chemistry, biological chemistry to prove people can look on some multi-component reactions as a new type of click reactions. Polymer Chemistry is an outstanding journal with high impact and quality in polymer science, the publishing process is very fast and fair. I have not made the schedule yet, but I am planning to join the coming IUPAC conference. I normally spend my spare time with my family, watching football games, cooking at home, and doing some exercise. If I were not a chemist, maybe I would choose historian as my career. To keep up-to-date with all the latest research, sign-up to our RSS feed or Table of contents alert.